BDGift.Com is part of BIGFISH INC group of companies.BIGFISH INC established in 2001 and registered Department of trade and Industry, Manila, Philippines.Presently BDGift.com is in the process of expanding its network and services to all other countries. Garden fresh flowers and all other products, we maintain high quality.At BDGift we pride ourselves on quality, innovation and experience. 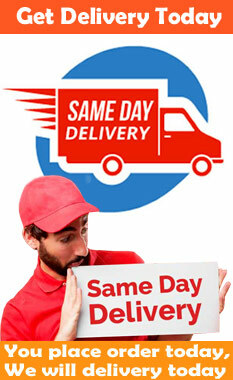 We are providing gift delivery service in Bangladesh since 2004. All our staffs are expertly trained to create all manor of floral designs from modern/contemporary to more traditional. We have started with a low-price philosophy while providing a high level of service. Our concept of cost-effectiveness, fair prices, totally dedicated support brought us to what we are today.At BDGift.com we always aim for customer satisfaction, although our floristry and designs have kept up with the times our customer service has not changed in almost fourteen years, which is why we are still here providing what we believe is an excellent service for any and every occasion. We offer decade of floral experience and we have a reputation for being the best in floral and gifting industry. We have spent a lot of time to building trusted and reliable relationships with the best florist and gift suppliers across Bangladesh. This means that your gift arrangements include only the finest quality of flowers, chocolates, cakes, teddy bear and other excellent gifts. 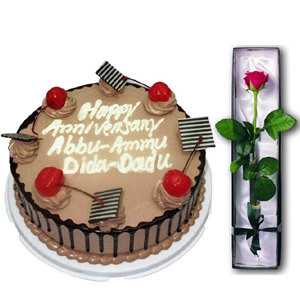 We also offer one of the highest networks of florists in Bangladesh that you can find. We make sure that all of your orders are hand delivered quickly using this network. That is how we can offer the best in hampers & cake, floral arrangements, and other cute gifts at incredibly low prices.We provide free gift delivery in Dhaka. BDGift can deliver to almost every remote places in Bangladesh, sometimes for a small extra amount of charge, and there is almost no place in the country where flowers, cakes, teddy bear, chocolates, and other quality gifts can not be sent. 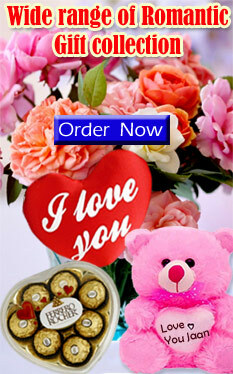 Anyone can place order for same day or urgent gift delivery in Dhaka. 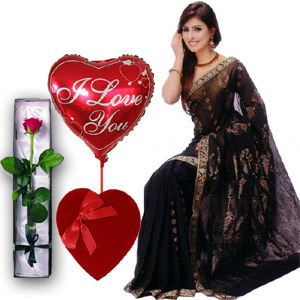 You may send flowers to Bangladesh and same day flower delivery to Dhaka. 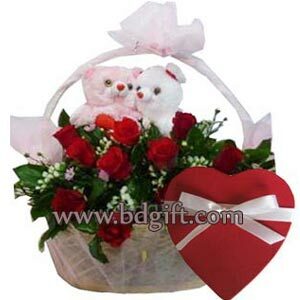 Other florists in Bangladesh also use bdgift service and we help many take care of their honorable customer needs when it comes to creating and delivering only the best flowers and gifts in Bangladesh. We offer fantastic customer service, with a customer care department hotline number that is manned all the time and available to help with any questions or concerns that you may have. At BDGift customer satisfaction, excellent service and high quality products and arrangements go all together. We have a special team of professional floral designers, who are always designing and arranging new displays that are both innovative and exquisitely. 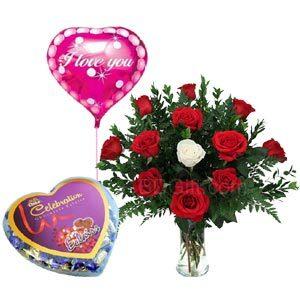 When you use our bdgift service for your gift and floral needs you are guaranteed a delivery that will make the recipient’s smile with quality and a price that will vibrate you as well. BDGift.com is all about people. You will always get a HUMAN response from BDGift.com on ANY request or issue that you may have and we will assist you as fast as humanly possible. Exclusive Collection of a Brand name Fashion house with gorgeous work on par and achol.Matching blouse will be included with the sharee with Chocolates in a heart shape box & 12 pieces red roses in a bouquet & nice twin bear .